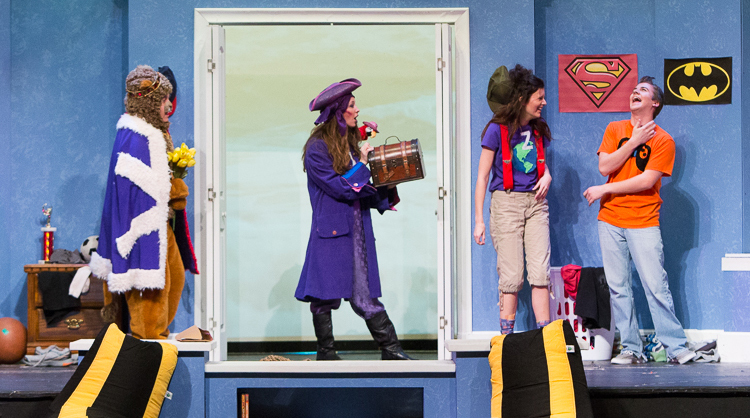 Southern Theatre will present “The Great Alphabet Adventure” at 2:30 p.m. Saturday and Sunday, March 11-12, in Taylor Performing Arts Center at Missouri Southern State University. The play tells the story of Alex, a boy who comes home from school excited to play video games when the power goes out. When the power goes out, Alex is sure he will die of boredom. Zora, the adventurous girl next door, discovers his old picture book is mysteriously blank. The two explore extraordinary hidden worlds as they begin a treasure hunt to find the missing letters and return them to the book. Directed by Gerrie-Ellen Johnston, the cast includes Luke Bobbet, freshman, Joplin; Klaire Marie, sophomore, Joplin; Allison Dodge, freshman, Joplin; Joshua Lee Pruss, sophomore, Carthage; and Chelsie Jeffries, freshman, Webb City. Tickets are $3 for adults and $1 for children ages 12 and under. The box office is open from 9 a.m. to 3 p.m. Monday through Friday. For production information, call 417-625-9393 or visit www.mssu.edu/theatre.